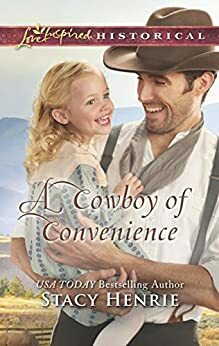 A Cowboy of Convenience (Love Inspired Historical) - Kindle edition by Stacy Henrie. Religion & Spirituality Kindle eBooks @ Amazon.com. Very good book. Keeps you reading to the end. 5.0 out of 5 starsFun marriage of convenience romance! This novel opens with Vienna and her daughter living with their friends Edward and Maggy (of The Rancher's Temporary Engagement) and West working as Edward's ranch foreman. That all changes when Vienna gets word that her estranged husband has died, and she is now the owner of his ranch. Longtime friends Vienna and West decide to team up to turn her ranch into a dude ranch ... but they'll need to marry for propriety's sake. Of course, there's never any doubt that Vienna and West's marriage of convenience will turn real, but in this case, the joy is in the journey. Henrie's writing alternates between Vienna's and West's perspectives, so it does get a little frustrating knowing that Vienna and West are thinking virtually the same thing about their relationship but refusing to talk about it. Frustrating, but understandable given their history. As Vienna and West spend time together, their relationship grows into a deep friendship and then to love. So basically, this is both a marriage of convenience AND friends to lovers novel ... what more could you ask for? I loved the joy Vienna's daughter Hattie brought to the novel, and it warmed my heart every time she said "Daddy West." Such a cutie! And West's background and family brought a depth and unexpected twist to the novel that I really appreciated. Though this is book two in Henrie's Sheridan Sweethearts series, it stands alone. That said, I would love to go back and read Edward and Maggy's story in The Rancher's Temporary Engagement. I also hope that Henrie also writes a book about West's friend Alec! 4-1/2 stars. Disclosure of material connection: I received a free copy of this book. I was not required to write a positive review, and the opinions expressed are my own. 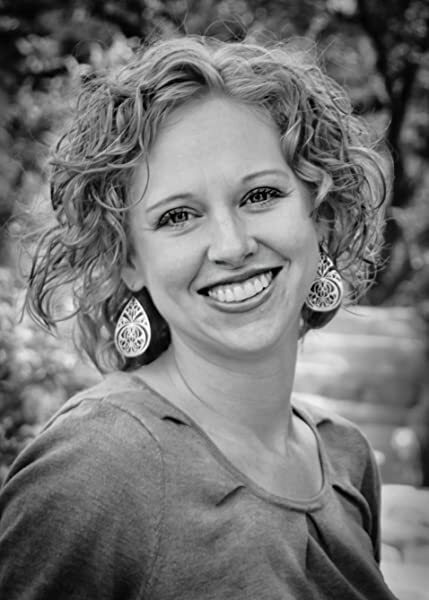 Vienna Howe has never really had a home of her own, especially after fleeing her abusive husband. She has achieved some sort of contentment working in the kitchen of a ranch where she lives with her little daughter Hattie, when news of her husband’s death upends her little world. She now has a decrepit ranch on her hands, and she cannot afford the repairs with the little money she had saved in hope of one day opening a café or a restaurant. West McCall has always wanted a dude ranch, and when he learns of Vienna’s predicament, he offers her a solution. They have been friends for a long time, so West proposes a marriage of convenience which would be beneficial to both of them: he makes his dream come true, and she finally can provide Hattie with a real home and a father figure because West is a good man. A COWBOY OF CONVENIENCE is an extraordinary love story between two real lonely hearts, and Stacy Henrie’s profound insight into the human psyche lifts this marriage of convenience trope to new heights. West and Vienna are both remarkable characters: Vienna, who throughout her life has been made to feel weak, is an incredibly strong and caring woman who doesn’t quite see herself that way. Her Faith in God has helped her survive, she has remained serene and hopeful against all odds, yet for her, it’s matter-of-fact. West, on the other hand, has a peculiar relationship with God and with people, which stems from his upbringing but also from what he perceives as disasters that were of his own making. Vienna had, in the past, hoped that West would propose, which never happened, and it’s all tied to how he sees himself in relation to God and others. To others, West seems a man determined to succeed on his own, but he is supremely insecure, and this is what stops him from admitting his feelings for Vienna. A COWBOY OF CONVENIENCE is a romance, and a very beautiful one, but it is the inspirational angle that made the strongest impression on me because West’s relationship with God is one I don’t believe I have ever read before, and what I thought would be his epiphany was not, but it was for me an unforgettable moment in the book and something that is as relevant today as it was in 1901, when the story takes place. West and Vienna have, in all truth, a cozy relationship apart from the fact that Vienna doesn’t know where she stands with West; he keeps giving mixed signals that even he cannot understand or accept. I find it remarkable that Ms. Henrie avoids every cliché known to this trope: no one is exasperatingly obstinate or annoying, there isn’t the usual push-and-pull; West’s struggle is real and only he can do something about it. West, Vienna, and even Hattie are all wonderfully developed characters, and West’s relationship with Hattie will melt many hearts. And of course, Stacy Henrie made me cry. Again. A COWBOY OF CONVENIENCE is a magnificent love story that kept me enthralled from beginning to end.